This review platform makes your online reputation efforts take no effort at all. Westlake Village, CA: CallSource, the inventors of call tracking, have always been able to evolve with clients’ needs and technological advances to deliver the most useful business products. 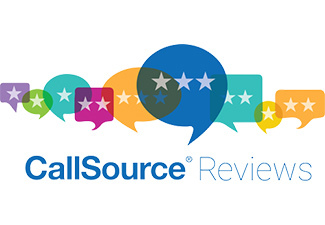 That is why CallSource’s newest product, CS Reviews, focuses on aiding our clients in taking control of their online reviews. The CS Review Platform is a suite of digital tools to help generate and respond to reviews on all major review sites across the web. With CS Reviews, you no longer have to go to each review site. CallSource aggregates all your reviews in a super easy to use dashboard. We also make it easy to request reviews from your clients. CS Reviews helps you to generate reviews, listen to customers’ responses, and respond to their reviews. Don’t have time, we can respond to you! Features include SMS (texting) capabilities, CallSource managed auto responses, and the ability to request your clients to leave a review that can be posted on various review sites. CS reviews monitors all online reviews for major websites, delivers daily email alerts and a suite of informational and performance reports. CS Reviews is also fully white-labeled for clients and has educational tools and resources available online. The platform can integrate with your Management Software to fully automate the review request process. Also, review request templates can be copied into third party email campaign programs including Constant Contact®, MailChimp®, and Outlook. Automated Response is included as well. This is a service that includes custom responses to customer’s online reviews. CallSource will automatically respond to all reviews generated through the platform. Want more information on CS Reviews? Contact a CallSource representative to learn more.